This is a real beauty! 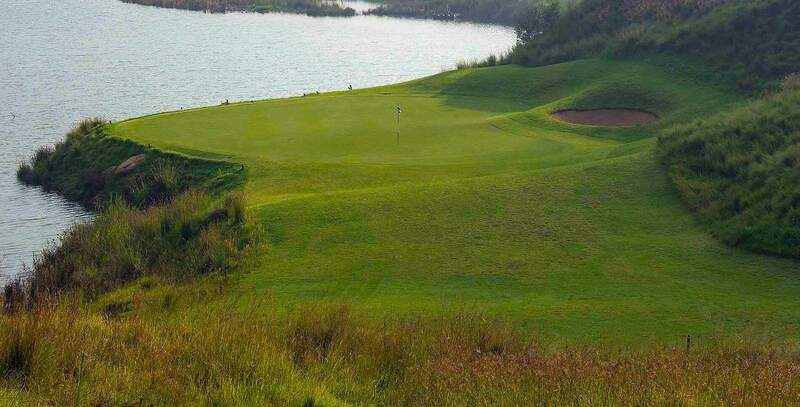 Don’t be fooled by the distance measurement — while the hole plays on average around 150 metres, the dramatic drop of 30 metres will add to the complicated calculation in determining your club selection. With the green framed with water and sand, take a deep breath and commit to the shot!